Matthew 18:20 - For where two or three come together in my name, there am I with them. 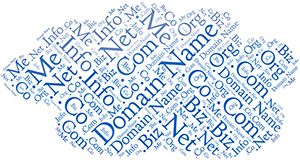 A domain name transfer refers to the process of changing the designated registrar of a domain name. Once a transfer has been made, the new registrar will maintain all relevant information regarding the domain and the registrant. Domain names may be transferred only if they have been registered with the previous registrar for 60 days or more. Changing your registrar is usually the preferred choice of most of our clients so that the web hosting and domain name are controlled by the same person or organisation. At mickwood.com we will ensure that your DNS is configured correctly, your domain name renewals are completed in good time and any other technical information is maintained on your behalf. At NO TIME do you transfer away the ownwership of your domain! Ensure that your contact information is up to date. During the transfer process, you will be contacted by both your old registrar and your new one. Set up a hosting / email account with a new web host. Request that your domain be unlocked by your current registrar. Ensure that you have not recently transferred your domain. Please email mick@mickwood.com if you require further information.